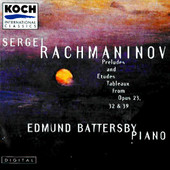 Throughout the course of his international career as pianist, orchestral soloist, chamber player and teacher, Edmund Battersby has earned the highest praise from audiences, critics and illustrious colleagues alike. 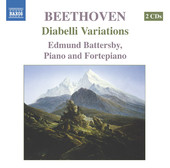 American Record Guide claimed that his landmark recordings of Beethoven's Diabelli Variations, on modern and period instruments, put him, "in the company of Brendel, Serkin, Schnabel and Pollini." 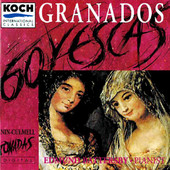 His many CDs for Musical Heritage Society, Naxos, Koch, and others over the years, have been noted impressively: the 1992 Grammy Short list for Goyescas of Granados among them. 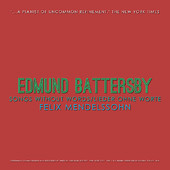 Battersby’s digital re-release of Mendelssohn's “ Songs Without Words” (complete) on the Schoodic Sound label, was a "Sleeper of the Year" for WNCN Magazine in 1982, the artery for, what was then, the premiere Classical radio station of New York City. 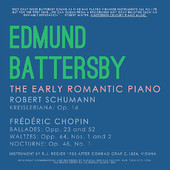 The 2012 Schoodic Sound digital re-release of his Musical Heritage Society recording, “The Early Romantic Piano”, performed on a Rodney Regier replica of an 1824 instrument by Conrad Graf, was warmly received by Peter Burwasser, reviewer for Fanfare Magazine: in a, “digital re-mastering by Schoodic Sound …Battersby delivers with great poetry and control of color”. Schoodic Sound will re-release both his Musical Heritage Society Schubert recording and the newly recorded complete Iberia by Isaac Albeniz in 2013. Battersby gained the admiration of Messiaen, Crumb, Rochberg, Elliott Schwartz and Bolcom in live, recorded and often first performance directed by the composers. He has played recitals worldwide, most notably in London, New York and Washington, DC, and has performed with conductors such as Nicholas McGegan, Gerard Schwarz and Gunther Schuller, with orchestras ranging from Indianapolis to Pittsburgh. A frequent guest at the Library of Congress in the nation's capital, Battersby has performed on their series with the Vermeer Quartet and elsewhere with the Tokyo Quartet and the Orion Quartet. Festivals featuring him in solo or ensemble capacity include Mostly Mozart, Santa Fe, Seattle and La Jolla, Bay Chamber Festival, Bowdoin College and Kneisel Hall (Maine),La Gesse and Jacobin (Toulouse) and Festival of the Sound (Canada). He has given master classes at the Royal Irish Academy of Music in Dublin, the Hochschule fur Musik in Leipzig, Princeton, Rutgers and Duke, USC Irvine and Hartt College of Music as well as Indiana University Bloomington where he has been a member of the artist-faculty of the Jacobs School of Music since 1995. 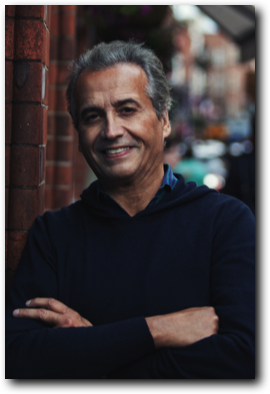 During the summer of 2013, he will be giving master classes at the Euro Arts Festival in Halle, Austria and in Dublin, Ireland at the new Dublin International Piano Festival. Professor Battersby is the artistic director of Harbor Music, the Artur Balsam Chamber Ensemble Classes for Piano and Strings, supported by the IU Foundation since 1999. Also noted as an author on musical subjects, Edmund Battersby has contributed articles to Early Music America, Keyboard Classics, as well as 125 Pianists Recall a Legend (Horowitz, ed. Dubal) and recently a lengthy interview with Jerry Dubins for the January 2013 issue of Fanfare Magazine. I really enjoyed my masterclass and the lesson with Edmund Battersby. He covered a great deal in a short space of time, and I left with a lot to think about! I think I was at my most confident and responsive in this masterclass, and I got a few invaluable insights into how the ear can be used to teach the hands an appropriate technique, and also some practical guidance on how to go about making a piece sound more orchestral. I suppose this lesson was taught in a verbal style that was similar to lessons I have had with my two main teacher's so I also felt more used to this style of teaching. Edmund Battersby on the Liszt "Wilde Jagd" The piece was suddenly no hardwork anymore after a change of attitude towards sound. My lesson with Battersby was my favorite, because he made me see so many new things in my piece.